There it is for those who have an assignment to complete in the next five minutes or who are generally in a hurry to wrap things up. If you have a little more time to spare, read on. More interesting is the fact that I also receive reports on the searches which cause people to land on the website. I have spent a number of days trying to find a way to proceed in a seemingly logical way through the various kinds of searches I have noticed but I have found it impossible and therefore I am going to dump them into a few very ramshackle categories. (I’ll put the searches in italics so you can distinguish between my spelling mistakes and other people’s spelling mistakes). flowery chinese signs for olympic deportment – Which leaves me dumbfounded. how to open cans quietly. This makes me think of someone lying in bed awake next to his sleeping wife. He is holding a can of beer and dying to drink it. He is too lazy to get up but is afraid to wake her up if he opens the can. Perhaps he could try under the blankets ? what is the poem ode to the artichoke about ? Artichokes. where shoes get mended – At a shoe repair or cobbler’s shop. Some times I really felt that I would have liked to supply some helpful information to people in their searches. I’m sure that many other people with blogs feel the same way. So why not get into the habit of adding your phone number or e-mail when you are struggling with a search, maybe someone willget in touch with you with the answer. This could be very useful for my next category, which only has one item. Is something wrong with my dog’s head if its sideways. Now if I had had a phone number to call I would have said the following. 1 – Yes there most probably is something wrong with your dog’s head. 2 – How old are you ? 4 – Did you use some kind of spanner ? 5 – Don’t try and put the head back where it was. Category 5 – Why me ? You might think it strange that some of these searches landed on my site, but they all use words which are in my posts. On the other hand, there are a couple where I cannot understand what happened. in other cases, people are searching for things which I posted because I thought they were beautiful and the fact that I am helping other people to locate them as well gives me a feeling of satisfaction. For example, searches for words in my favourite passage from Nabokov’s Ada. (You can see the post here). More than half of the searches for poems I see are followed by those lethal words – meaning, summary, interpretation. There were even two searches for poems by Issa which quoted the whole poem followed by “meaning”. century Japan and a little girl sleeping and an imaginary melon. Asking for the meaning of that is like getting the best kiss one has ever had in one’s life and then asking “What does it mean?” or getting served an amazing risotto with gorgonzola, mint and walnuts and asking for a metaphysical interpretation. I know it is reassuring to be able to pack everything up into boxes which one can wrap and tie and carry around subdued by neatness, but you just can’t do it with some things, like clouds, rivers, poetry and life. Or perhaps this is happening on account of a few teachers who can’t be bothered to do their job properly and are handing out that kind of assignment. 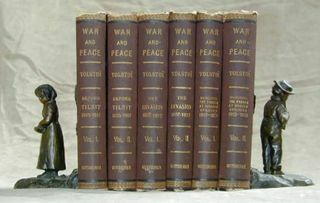 Anyway it will be interesting to see how many people are looking for a one-sentence explanation of War and Peace. Category 8 – Guess what these have in common. It seems that if you include the word “sideways” in your search there is a good chance you will end up at Sideways Station. If I had known this when I started I might have used a longer name. I have examined Google’s most common searches for 2008 and after discarding some of the ones which should plummet in 2009 (e.g., thankfully, Sarah Palin) I am thinking of re-naming this site Sideways Financial Crisis Icecream (What is love ?) Station. I found your site while engaged in a lethal search…sorry I am guilty. It took me two years to read War and Pearce and I have finally finished it tonight. I am pleasantly surprised by your site and am very glad I stumbled across it.